On the demand of our existing customers we have started manufacturing of Lined Carton Packaging Machines for packing powders, granules & liquid items. Efficiency and reliability are highly appreciated by our clients. The materials used to manufacture these products are sourced from trustworthy vendors. Simple operation and low maintenance are highly appreciated by our customers.Before the final delivery of these machines. Speed (Packs per Minute) 20-25 cartons per minute. 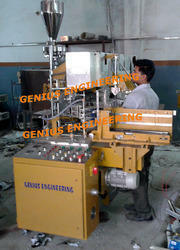 We are leading manufacturer and exporter of Lined Carton Packing Machine. 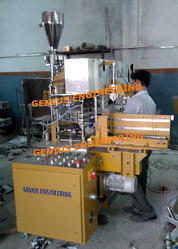 Our Lined carton filling & sealing machine with piston filling system is suitable to pack liquid items in Lined cartons. Our products are highly appreciated for there unique features like packaging range and production speed. These products are manufactured under the supervision of highly qualified professionals. Packing range: 200 ml to 1000 ml.